Present state: Demolished - the site is now a timber merchants and a large warehouse has been built on the site of the station. 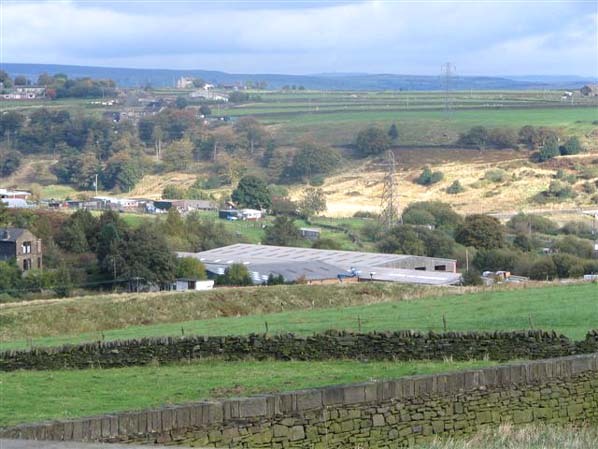 Like Clayton and Thornton, Denholme station was built in the GN "island" layout. 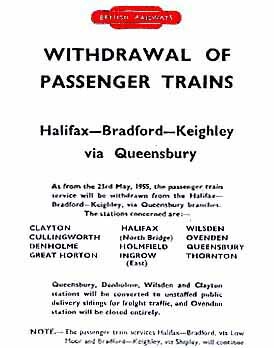 Passenger use was never very great as the station was a mile away from the village down a dark and windy lane. Local buses always offered a more convenient service for most people. 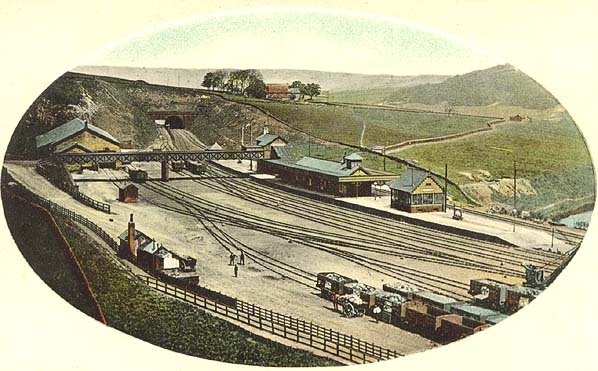 At 850 ft above sea level, Denholme was the highest station on the entire GN system and as a result, its coal depot was kept busy in the winter when the roads were cut off. After passenger services ceased in 1955, the station also continued to handle a large amount of timber traffic. 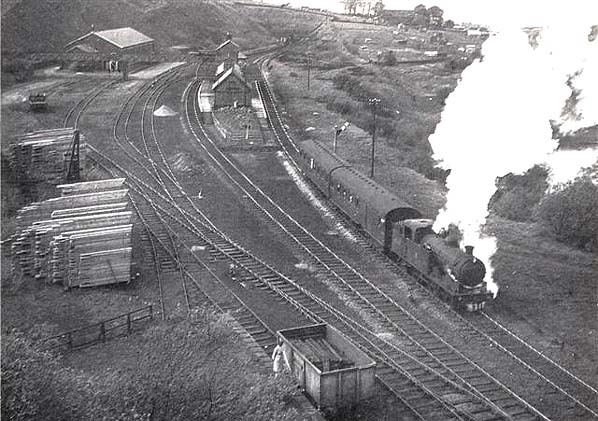 Despite local opposition, the station closed in 1961 and the heavy freight traffic was transferred to the roads, frequently causing noise & congestion on the narrow lane. When I visited the site in 2005, I found that virtually every public footpath around the site had been closed off (some illegally) or built over, making photography a difficult and frustrating task!